The ways of the world. Whether on Clark’s campus or in communities around the world, constantly evolving social dynamics impact each of our lives in powerful and sometimes hidden ways. As a sociology major, you will learn to reveal these social dynamics. You’ll study broad social processes — global dynamics, stratification, social movements, etc. — and explore diverse institutions, from the law and medicine to family and religion. Along the way, you’ll acquire conceptual and analytical tools that will enhance your understanding not only of your own life, but also of the world in which you live. At Clark, our approach to studying sociology is grounded in empirical social science and classical theoretical traditions. You’ll put theory into action through a range of hands-on experiences, from internships and research projects to volunteer and study abroad opportunities. Because our students and faculty are deeply concerned about everything from criminal justice reform to social policies affecting immigrants, families, children, and the elderly, you’ll be part of a compelling learning community where you can both satisfy your intellectual curiosity and make a commitment to change our world for the better. Why Study Sociology at Clark? Gain valuable hands-on experience through internships at vital nonprofits and regional institutions such as the Worcester Division of Public Health, Massachusetts Department of Corrections, and other organizations promoting positive change. You can choose to focus on a particular area, like law and social control, medicine and community health, or immigration and globalization. Take advantage of funding opportunities, like the annual Ross Social Justice Summer Internship Stipend — which provides $2,500 for students to complete research or an internship with a social justice organization. Courses in the sociology major examine a wide array of social processes, such as social stratification, social movements, and social change. Through the investigation of social institutions, you will acquire the conceptual and analytical tools to enhance your understanding of not only your own life, but also the world. As a sociology major, you will be required to take 11 courses, which include three required foundation courses, two research-related courses, and a capstone seminar that includes a significant research component. 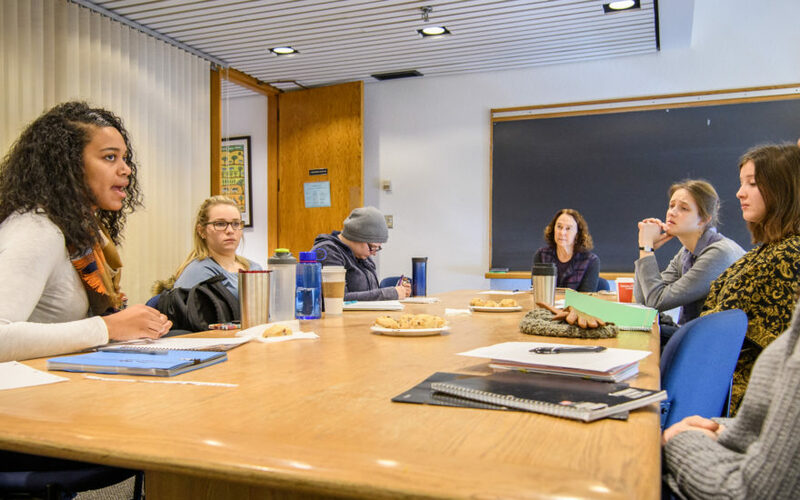 Students who share interest in a topic not included in the curriculum may propose a seminar/reading group and meet with a faculty member on a weekly basis. For example, students organized a seminar on the sociology of disability studies. Although we do not have specific tracks within the major, we do have concentrations in the areas of law and social control; medicine and community health; and immigration and globalization. In each of these areas, students can take two or more courses, which often culminate in a capstone experience involving research or an internship. 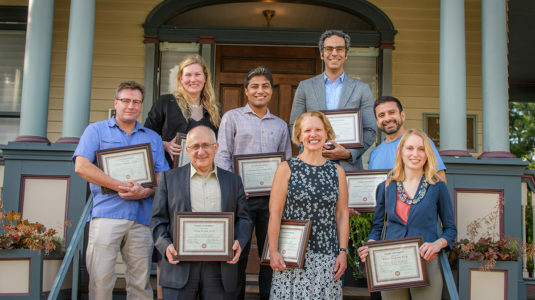 The Addams-Mills Award is given annually to honor one or two graduating sociology majors who exemplify the ideas and community service of Nobel Peace Prize laureate Jane Addams, a founder of community-based social work, and the intellectual tradition of C. Wright Mills, an outspoken sociologist and critic of American power structures. Qualified students can apply for membership in Alpha Kappa Delta, the International Sociology Honor Society. The Addams-Mills Award is given annually to honor one or two graduating sociology majors who exemplify the community service ideas of Jane Addams, a founder of community-based social work and a Nobel Peace Prize laureate, and the intellectual tradition of C. Wright Mills, an outspoken sociologist and critic of American power structures. With Liberal Education and Effective Practice, lessons begin in the classroom but never end there. Your learning includes world and workplace experiences that forge your skills and shape your path. At Clark, your education extends beyond the classroom. LEEP Center advisers can help you choose from a range of opportunities that complement your coursework and put your sociology knowledge into practice. The sociology major is designed to help you learn outside the classroom and find ways to put your passions to good use. Co-curricular activities often spring from our students’ commitment to social justice, including service-learning work at Activist United, Clark Anti-Violence Education, Model United Nations, Student Action for Refugees, Public Health Outreach, Students Advocating Safe Choices, and Voices for Planned Parenthood. Many students take advantage of internship opportunities during the academic year or over the summer to connect what they’re learning with their professional development. Internships can be in a variety of areas, including criminal justice, elderly services, health-related services, media, and women’s services and programs. 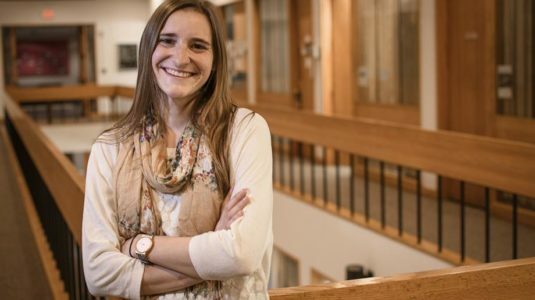 Each year the Sociology Department awards the Ross Social Justice Fellowship, which provides $2,500 for a student to do an internship or research in a social justice organization. In alignment with Clark’s LEEP philosophy, participation in a Study Abroad and Away program is an opportunity to gain world and workplace experience to complement your on-campus work. Clark approves semester, year-long, and summer opportunities to earn credit through academic coursework, internships, community-based learning, or research. Explore our Study Abroad and Away page, where you can search programs by academic interest, location, and language; after you’ve identified some appropriate programs, ensure they fit in with your four-year plan by talking with your faculty adviser as early as possible. The Undergraduate Sociology Committee, made up of undergraduate students, is an active part of department life, and sponsors a number of activities throughout the year. Clark is committed to action-based learning, which means as an undergraduate you can join faculty and graduate students in their research. You also can apply for funding to support your own research on a project of your choice during the academic year or during the summer. London, Bruce, Cristina Lucier*, and Meredith Hare-Drubka*. December, 2013. “Teaching about Corporate Power: Analyses of a Policy Planning Network,” available here. Legot, Cristina*, Bruce London, John Shandra*, and Anna Rosofsky. 2010. “Proximity to industrial releases of toxins and childhood respiratory, developmental, and neurological diseases: Environmental ascription in East Baton Rouge Parish.” Working Paper Number 236. Political Economy Research Institute. University of Massachusetts. Amherst, Mass. Legot, Cristina*, Bruce London, and John Shandra*. 2010. The proximity of high volume developmental neurotoxin polluters to schools: vulnerable populations at risk.” Working Paper Number 224. Political Economy Research Institute. University of Massachusetts. Amherst, Mass. The Conservative Climate Change Denial Network: Who Decides? Who Benefits? Who Pays? You also can submit your research results for publication in our student-run Scholarly Undergraduate Research Journal. At Clark you’ll get more than a great education; you’ll also be prepared for a long, productive career and life of consequence. And once you’ve completed your degree, you can join other Clark alumni who have gone on to work for great organizations and attend some of the best graduate schools in the world. Thomson / Wadsworth Publishing Co.
What is Jewish and what is American about American Jews? How do they compare with other ethnic groups? Explore these questions along with related topics like immigration, economic mobility, gender and intermarriage. Explore sport as a product of culture. See how it reinforces and challenges understandings of race, gender, social class, and sexuality, and how globalization has [re]shaped sport in local and global contexts. Learn about philanthropy and grant writing while partnering with a local community health organization. The work of you and your classmates will result in funding being awarded to a real organization. 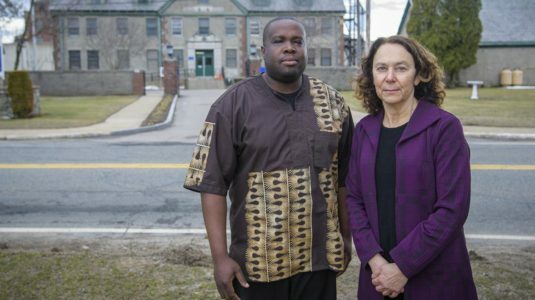 Why do young African-American males make up a disproportionately large number of those imprisoned in the U.S.? Investigate mass incarceration using a variety of sources, and reflect on the meaning of punishment.